I’ve often mentioned that everyone should be cautious about downloading things from the Internet, especially things that offer to “clean the registry”, “check for out-of-date drivers” or “optimize your PC” and so on. Most (all?) of these are trick to get you to download some malware. If you’ve been offered the free Windows 10 upgrade (most home users of Windows 7 and Windows 8.1 have been) my advice is to accept the download, but wait for a while before you allow it to perform the actual Windows 10 upgrade (it will ask you for permission). My first impressions of Windows 10 are quite good – it’s certainly better than Windows 8 was – but there’s no rush. You have a year to accept the free offer, and it will be a big change in what you are used to (especially in the case of Windows 7 users) so wait for a while and see how everyone else gets on! For those who have already done the upgrade, I’d advise turning off the new search bar which, by default, send everything to Microsoft. Instructions here. 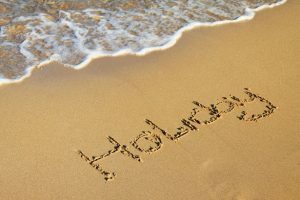 I shall be on holiday from Friday 21st August to Friday 28th August (inclusive). I will probably be able to check e-mail every now and then while away. Last updates 21st December 2016.